Ethan and I went to the last Vikings game ever in the Metrodome. So many memories in that building and now the Vikings are moving out. We said good-bye to a stadium and are now saying good-bye to 2013. (If the vlog’s not loading properly, you can find it on YouTube). We’ve got a choice: cry or smile. I hope you can look back over 2013 and smile because it happened. And I hope you smile when you look forward to 2014 when you think about all that God’s going to do. Remember, God is good all the time. Finding time to run is getting harder and harder these days. We’re trying to juggle so many schedules in my house, it gets dark earlier, and, of course, it’s colder this time of year. Running’s just not easy to fit in. I try to take what I can get, so even if the sun’s going down, I head out to see if I can get some miles in. It’s inevitable that I’m gonna finish my workout in the dark. Luckily, my running route has a decent path. It’s not narrow and not real rough. However, it’s also not well-lit and there are a number of moments when I can’t see the path. It’s hard to run when you can’t see the path. It feels more stressful because you can’t see where your feet land, and it makes you run a different rhythm. You strain your eyes trying to not step on a crack or some uneven ground that would send your ankles into pile of dust. When you don’t know where to step, it adds tension and changes the way you run. It’s more work and less fun. In the Psalms, there is the scripture I’m sure your familiar with that says “Thy Word is a lamp unto my feet and light unto my path.” God has made a path for us that leads us into daily living, not just surviving. Scripture is about giving us the light to see where to go so as to not fall into the ditches of this world by taking our eyes off God’s plan for us. When you have light on your path, it’s less stressful, more rhythmic, more fun. It lessens the stress of rolling your spiritual ankles on edge of the path when you lose sight of the middle. 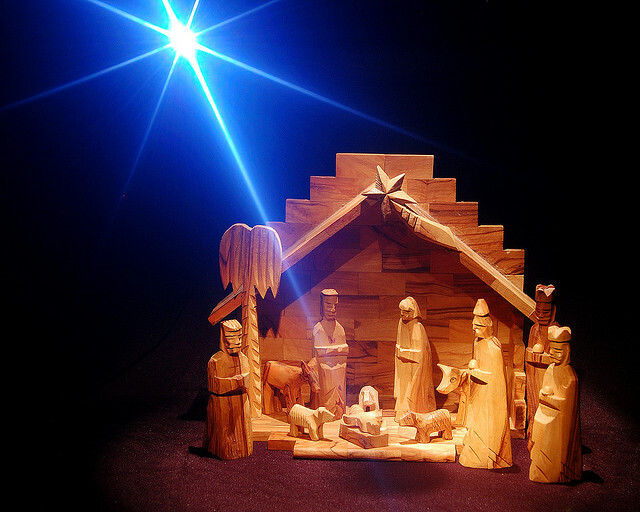 God even used a star as a sign that Jesus had come to the earth. We need light to live. We need Jesus, the Light of the World, to know real life. This world was really spiritually dark and God sent his Son to be light to show us Himself, save us from ourselves, and give abundant living. This second week of Advent, give thanks for The Light that has come to the world in Jesus, the Savior born to you this day. Without Jesus we would be truly in the dark.